(April 14, 2018) Early Voting for the 2018 Primary and General Elections is returning to the old Hollywood Video store in York Ridge Shopping Center at the corner of S Tryon Street and Moss Road (11130 S Tryon Street). This site can accommodate up to 24 voting machines, almost three times the number that can fit in the Steele Creek Library Community Room, which was used for the 2017 municipal Primary and General Election. There is no Republican candidate for District Attorney, so the Primary winner will be unopposed in the November General Election. There is no Republican candidate for Mecklenburg County Sheriff, so the Primary winner will be unopposed in the November General Election. 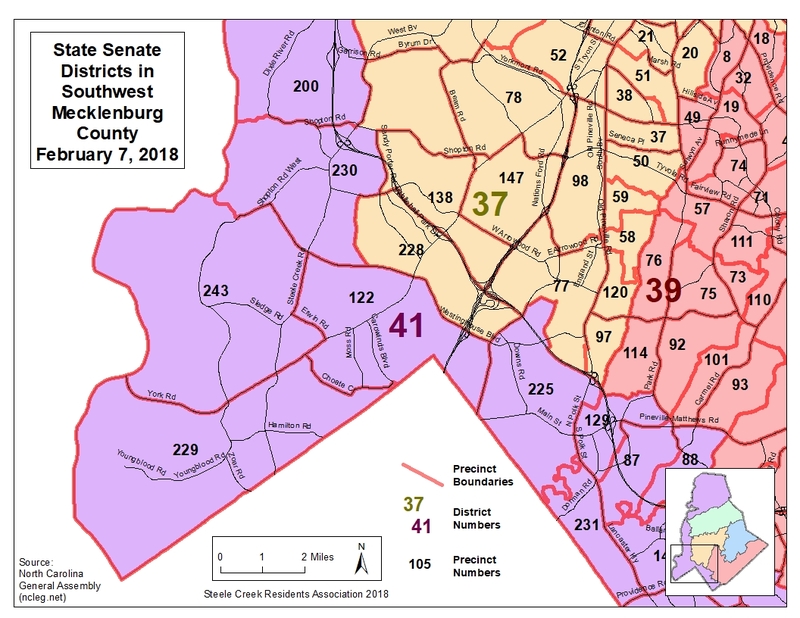 There is no Republican candidate in District 2, so the Primary winner will be unopposed in the November General Election. There is one Democratic candidate and one Republican candidate who will face each other in the November 6 General Election. 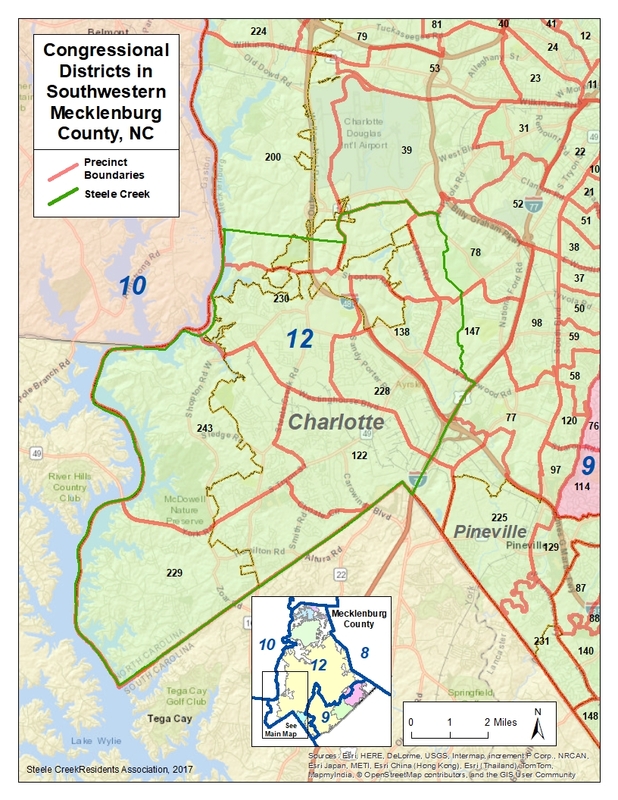 Steele Creek includes portions of two State House Districts and two State Senate Districts, but only one race will appear on the primary ballot. 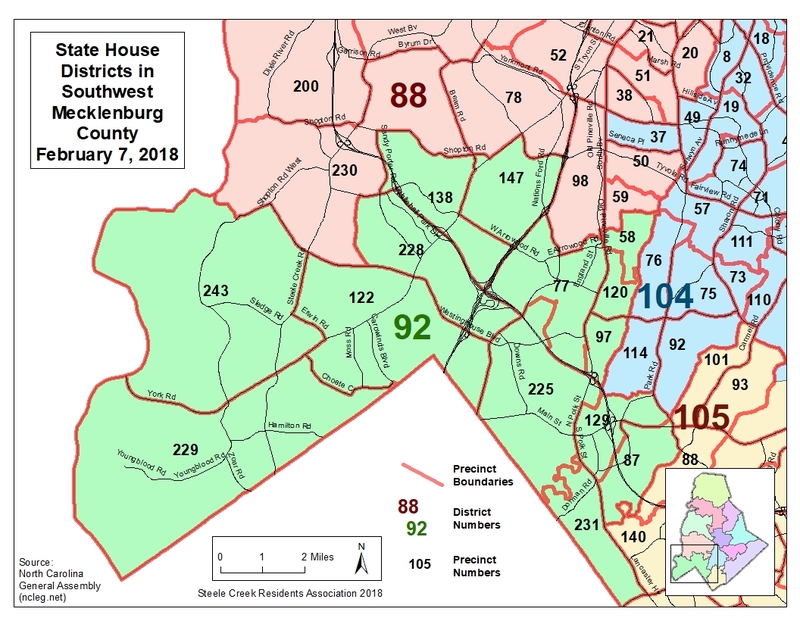 For more information on the North Carolina General Assembly election, see General Assembly Districts Will Change for the 2018 Election. For a listing of all candidates for the 2018 election who filed with the Mecklenburg County Board of Elections with their contact information, see 2018 Candidate Listing. For a list of candidates who filed in Raleigh (including US Congress and District Attorney) see North Carolina State Board of Elections List. The November ballot also will include various judicial offices. However, there will be no primary. Candidates will be known after the filing period in June.